Hundreds of homes have been affected by power cuts and 600 schools were forced to close as snow continued to cause disruption across Wales on Monday. And problems could worsen overnight with temperatures forecast to plummet to -14C (7F) in some parts. A yellow "be aware" warning for ice is in place until 11:00 GMT on Tuesday and the Met Office has warned of injuries from slips and falls. More than 180 schools have already said they will close on Tuesday. On Monday, schools were closed in Blaenau Gwent, Bridgend, Caerphilly, Carmarthenshire, Ceredigion, Denbighshire, Flintshire, Gwynedd, Merthyr Tydfil, Monmouthshire, Powys, Rhondda Cynon Taff, Torfaen and Wrexham, as hazardous conditions persisted from the weekend's snowfall. But some parents have criticised councils shutting schools in areas that had not seen heavy snow. Parent Dean Windsor called it "a joke" that Caldicot School was shut, despite no snow on the ground. But Monmouthshire council's cabinet member for children, Richard John, said: "A heavy fall of snow on Sunday was followed by a forecast of sub-zero temperatures and we're aware that pupils, teachers and other staff travel to school early in the morning when the roads are very busy, and today are likely to be dangerous." 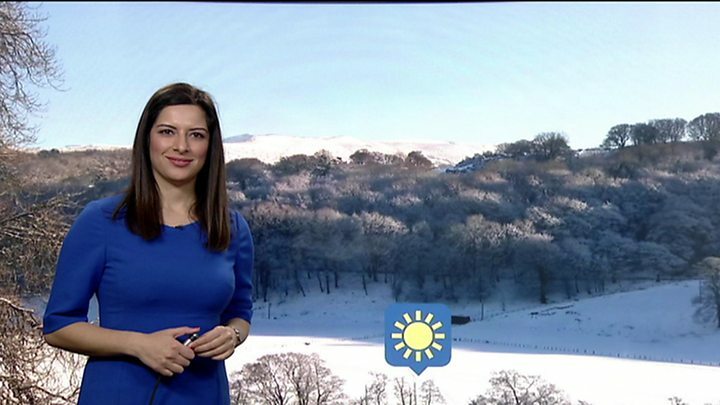 Rhondda Cynon Taf council said the roads over the Rhigos Mountain and the Bwlch Mountain would remain closed due to predicted temperatures and "the fact that salt is ineffective at such low temperatures". All other roads have reopened while there are delays of up to 60 minutes on the railway between Newport and Hereford. Meanwhile, Western Power Distribution said more than 500 homes that lost power on Monday have reconnected. The worst of the snow fell on Sunday and emergency services were called to rescues. 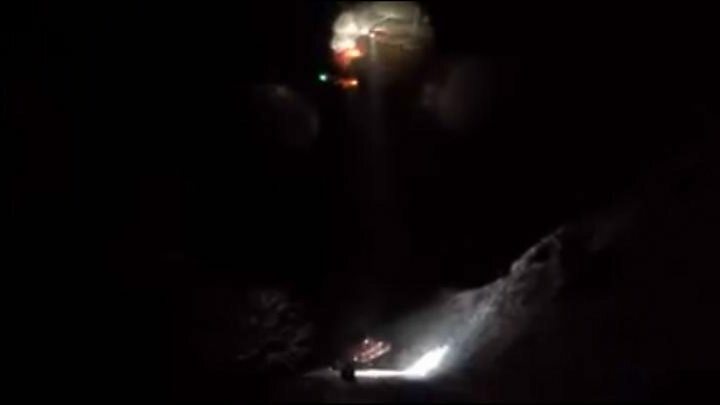 A 21-year-old man was airlifted to hospital with injuries to his pelvis and thigh after his sledge skidded into a ravine on a hillside above Ton Pentre, in Rhondda Cynon Taff. In a separate rescue, a 24-year-old man fell almost 330ft (100m) while climbing Tryfan, a mountain in Snowdonia, and he was taken to hospital with multiple injuries to his chest and shoulder. Six British Airways flights travelling to Heathrow Airport were diverted to Cardiff Airport on Sunday because of adverse weather in London. Greg Petruska, who was travelling from Zurich, tweeted: "This is what the @britishairways #hostage situation at Cardiff looks like. No BA staff... no bags... no communication... broken vending machines so no food." Julia Herd, from Cookham, Berkshire was also on the flight with her husband, two-year-old child and her mother, who has mobility difficulties. She told BBC Radio Wales the flight was delayed for about 90 minutes leaving Zurich and had almost reached Heathrow when it was diverted to Cardiff. Ms Herd added: "They finally got us off the plane at Cardiff and and then were told there were buses to Heathrow but we were one of five planes which had been diverted to Cardiff. Everybody was then sent into the baggage area. We then waited for two-and-a-half hours with absolutely no information. "By the time the streams of people started coming out there were no buses left available... and people were told that they had to wait, potentially for hours. Fortunately my husband had the foresight to pre-book a car which we eventually got in to." A BA spokesman said the company had provided refreshments and hotel accommodation, while Cardiff Airport advised passengers due to fly to check its live flight information before travelling. Details of any school closures are available on council websites.